Established as the county seat of Citrus County, Inverness is a beautiful community with all the charm of a small town, yet maintaining modernity and sophistication. The area's beautiful natural environment and abundance of shimmering lakes only enhance Inverness's peaceful atmosphere. One of the most appealing aspects to the town is the historic downtown district. Recently renovated and landscaped, this area features numerous antique and specialty shops, as well as other businesses. Good food is never in short supply here, either, with a delectable Italian pizzeria and seafood restaurant. History buffs will enjoy the museum located within the Old Courthouse. Filled with memorabilia and other documents, this museum will take you back to the turn of the 20th century, and give you a glimpse into Inverness's past. The Old Courthouse served as the main building for local government and commerce until the 1970s, when the county outgrew its county seat. The New Courthouse was then built, and remains the county's headquarters. Inverness also buzzes with plenty of recreational opportunities. 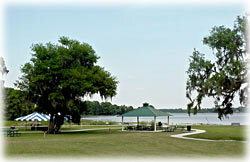 Water sports are popular on Big Lake Henderson, one of 50 smaller lakes making up the Tsala Apopka Lake Chain. 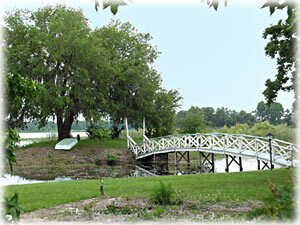 From water skiing to quiet bass fishing to peaceful sunbathing, this is the ideal place to enjoy nature's splendor. Golf is also a popular pastime in Citrus County. Within Inverness's city limits, Inverness Golf & Country Club and Lakeside Golf & Country Club provide challenging holes and interesting obstacles along the course. The rest of the county is also teeming with other such championship courses, including Citrus Hills Golf & Country Club, Twisted Oaks Golf & Country Club, El Diablo Golf & Country Club, Skyview, and more. Inverness offers some of the best residential neighborhoods in the area. Best of all, these neighborhoods offer plenty of scenic variety to satisfy most folks. For superb waterfront property, Prichard Island and Gospel Island are prime choices; for those seeking more modern mini-communities, Citrus Hills is a beautiful area. Seven Lakes is perfect for those looking for a pristine natural environment, as well as easy access to tennis courts and championship golf; and Sweetwater caters to those who need plenty of space for their large homes.